Let me start by saying that investing really isn’t that complicated and that simple investing is often the best investing strategy. It’s actually easy to start investing. Wall Street has a way of trying to over-complicate investing so that you as a consumer get overwhelmed and feel like you have to end up paying a personal advisor (which in some cases can make sense) or that you have to pay high fees for the new trendy type of investments. 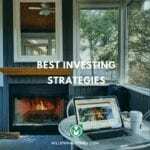 But in reality there many tried and true investing principles and guidelines that you can follow that will put your savings and path to wealth on track. You can teach yourself, like I did, through reading investing books, blogs, listening to podcasts, and simply taking an interest in growing your own money. A lot of anxiety and emotions around investing are simply due to a lack of knowledge. I often tell people that being un-employed was one of the best things to ever happen to me because it taught me the true value of money. I remember the day like it was yesterday – August 26, 2010 when I checked my bank account and had 2 dollars left and no job. This was the last of my savings.The next day, after being unemployed for over a year I finally got a call – one of the literally 350 resumes that I had sent out got me a job. 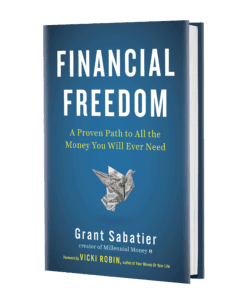 This time I knew I was going to do something different – I was not only going to save money, but I was going to invest so my money could work for me. That is the core idea of investing – using your money to make more money for you. We have all heard the phrase “The Rich get Richer” and the reason is because they have more money to make money with. As Ben Franklin famously said “The money that money earns, earns money.” Have you ever seen those rich middle aged dudes with white hair and loafers who look so chill when walking around the mall? The reason they look so chill is because they have money making money somewhere and they don’t have to think about it. They can enjoy life while they build wealth. You can invest in literally anything you expect to go up in value over time. Value is determined by supply and demand – the more people want something and the less there are, the higher the price will go. Investing is easy – which is great if you know what to invest in, but terrible if you don’t, because you can essentially just throw your money away if you make too risky of an investment. But don’t let this scare you – investing intelligently is a lot easier than most people realize. A lot of people don’t invest because they think it’s gambling and it’s true, some investments are. But those aren’t the ones you will be investing in. For example, I’ve heard people say that they are “investing” in lottery tickets, but when you have a 1 in 20 million chance of winning that’s gambling, not investing. But about 50% of American’s still play the lottery and spend about $70 billion on a year on them. This nets out to the average American spending about $600 on lottery tickets per year. Just investing that money each instead at 7% compounding over 30 years, they’d have about $66,224 in their account. Sure, it’s not $200 million, but it’s the difference between investing and gambling. To walk away quickly you want to maximize your returns, while minimizing your risk. While investing isn’t simple, it’s definitely not that complicated and there are proven strategies that actually work. As a Millennial I knew that even though my new job wasn’t paying me a lot of money, I did have one thing on my side: time. Time is the most essential element of investing because it takes time for money to grow and the more time you have the more opportunity your money has to grow due to compounding interest. Albert Einstein even called compounding interest “the most powerful force in the universe” and “the greatest mathematical discovery of all time”. For the past few years I have been struck by the stark contrast between investment charts that show the impact of compounding interest for a 25 year old versus a 30 year old with a 30 year retirement time horizon. 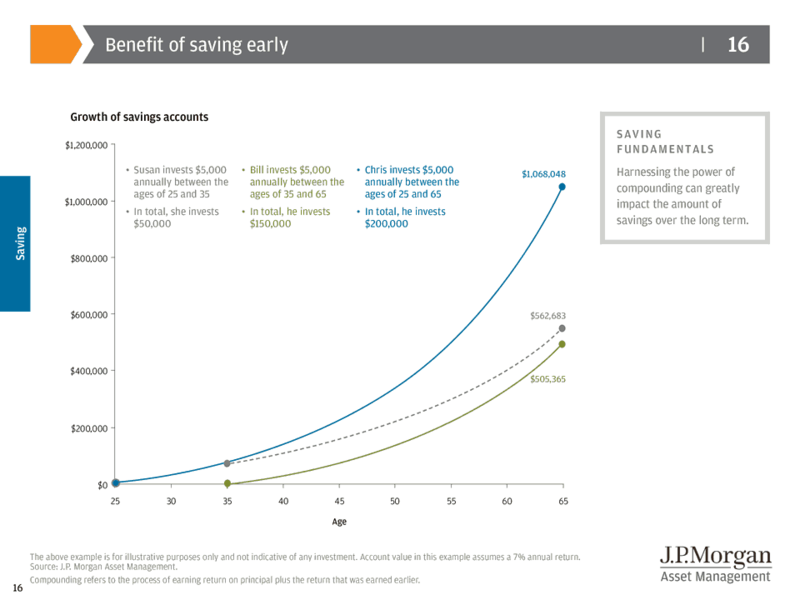 Check out this chart from J.P. Morgan Wealth Management on the impact of saving money earlier in your life. There are significant benefits to saving money early due to the impact of compounding interest over time. So how do you get compounding interest to start working for you? Whether you have $5 or $5,000 dollars the first rule of investing is to you need to start investing your money. 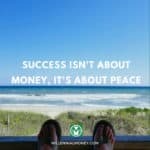 If you don’t get started then you can’t make money and your money can’t make money. It’s actually pretty crazy how many people just keep all of their money in a savings account because they are so afraid of losing money in the stock market, but the reality is that over any 10+ year period in history the stock market is likely going to give you positive returns on your money if you invest simply in a stock market index fund. Here are some simple rules to get you started in building your investment portfolio and future wealth. I know all of the excuses people make to not start investing because I’ve used them all myself. You don’t have enough money to invest, you don’t know anything about the stock market, you are worried about losing money… All of these excuses have likely already cost you thousands or hundreds of thousands of dollars in potential earnings over your lifetime. It’s literally like you are leaving money on the table and cutting yourself short. I am guessing that because you are reading this blog you are interested in making money and building wealth – but if you aren’t investing then it likely won’t happen. Seriously, investing money is the surest path to building wealth. Taxes are one of the biggest drains on your investment returns so you want to minimize your taxes as much as possible. For most new investors the number one goal is to invest as much money as you can into tax advantaged accounts where your money can grow tax-free over a long period of time. There are two types of tax-advantaged accounts you need to know about – 401Ks and IRAs (individual retirement accounts). For Millennials the most money you can put into them each year is $18,000 in a 401K and $5,500 into an IRA (so you can save $23,000 a year in tax advantaged accounts). Do this first before investing in anything else. Open a Roth IRA (or a Traditional IRA if you make over the Roth IRA income limits, which as of this writing are $116,000 for an individual and $183,300 if you are a married couple). The differences between the Roth IRA and the Traditional IRA are that the Roth IRA money grows tax-free over time and you don’t have to pay taxes when you take the money out, whereas the Traditional IRA gets taxed at withdrawal, but you may be able to deduct the contribution from you taxes. A Roth IRA is the best deal for young investors and will have significant tax advantages over time. There are many great places to open a Roth IRA or a Traditional IRA, but I recommend using Vanguard since they have a lot of high quality lost cost investment options. If you make too much money based on the limits above then I recommend opening a Traditional IRA and doing what is called a Traditional IRA to Roth IRA conversion where you essentially are able to deposit money directly into a Traditional IRA and then transfer that money immediately into a Roth IRA with no tax consequences (as long as you don’t have any other IRAs). The rules on this can be complicated and if you are confused I recommend consulting a tax expert, but I think this is a good article on Roth conversions. Both the 401k and IRA are used to hold investments and are typically used to save for retirement – they are not investments themselves. This means you need to pick investment vehicles to go into them. There are literally an infinite number of choices when you start investing, but most of the simple ones are the best options. Unfortunately because 401K plans are typically offered through an employer there are often limited investment options and high fees. This means that it is very important to pick your 401K investments wisely. What I typically recommend for new 401K investors is to select a model portfolio based on the level of risk that you are comfortable taking. 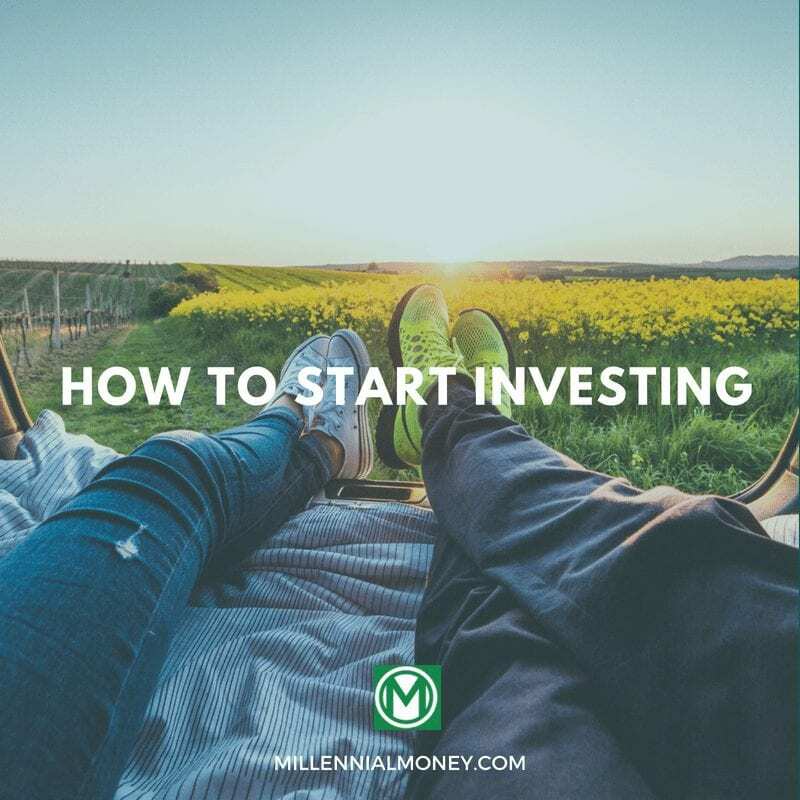 A word of advice – if you are under the age of 35 and are starting to invest in a 401K it the best idea invest in an aggressive growth portfolio, which is heavily weighted in stocks. The typical asset allocation that makes sense for a Millennial is around 90% stocks/10% bonds. Once you hit 35 or even 40 it is best to adjust this allocation close to 80% stocks/10% bonds. While an aggressive type portfolio will naturally fluctuate over time and has more “volatility,” this is nothing to get scared about because you are saving this money for the long term and over a 10+ year investing horizon you are going to make more money investing in stocks than in bonds. 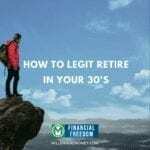 For Millennials investing in the stock market as heavily as possible in 401k makes the most sense (there are certain exceptions like if you are also investing outside of a 401K and IRA in taxed accounts, but I will cover that in other posts!). For a new Roth IRA or Traditional IRA investor I typically recommend putting your investments into a target date retirement funds like the Vanguard 2050 fund (which is what I have my own Roth IRA invested in). The target date fund naturally adjusts your investment allocation between stocks and bonds as you get closer to retirement so you don’t have to do much (except keep putting money in!). As you become a more sophisticated investor the target date fund might not make as much sense to you since you can get smaller incremental investment returns investing your IRA in a mixture of low cost index funds – which have lower fees over the long term. But for the new investor there aren’t really many better choices than a target date retirement fund with an aggressive 90+% stock allocation. While some investors believe target date retirement funds are too simple, I also know a number of top financial and private investment professionals who invest their own money in them. The number one rule is you want to start saving as much money as you can as early as you can, but everything counts. When you start investing, we recommend that you start saving directly into an investment account which can be opened with very little money. If you try to start saving your investment money in a savings account you are likely to spend it over the next year, but if you move your money directly to an investment account you are going to be less likely to touch that money (that is the key – letting the money grow and compound over time). The following guidelines are the best ways and places to start investing. Put as much money as possible into your 401K account (up to $17,500 a year) or at least as much as required to get your employer match (likely between 3-5% of your salary). After you have maxed out your 401K and your Roth IRA you are a step ahead above most Millennial Money investors! But if you have more money to invest then you have to start looking at investing in taxable accounts (meaning that your investment gains are taxed each year by the IRS). There is an entirely different strategy for setting up and managing taxable accounts that I will cover in later posts. There are a number of great places to start investing if you don’t have a lot of money – for example at companies like Betterment you can open an IRA for as little as $10. Betterment invests in a number of low-cost index funds like those offered by betterment for a pretty small fee. To learn more read my Betterment Review 2015 about my experience using the service. There are also many other companies, and more an more popping up everyday, that are geared towards helping new investors by making investing easier. One example, which I haven’t used personally, but it is growing in popularity is Acorns – which is a mobile app that deposits the extra change from your daily purchases into an investment account. One note of caution – there are new investing technologies popping up everyday so make sure you do your research before putting you money into them – because some options are not as secure as others. When you start investing one of the easiest ways to track your money is using a free investment tracker. My favorite and the one I’ve been personally using for the pat 5 years is Personal Capital. To learn more about my favorite money app, checkout my Personal Capital review. That’s it! It took me some time to learn about investing and over time you will gain more confidence as you start investing. There is not substitute for doing your own research and asking others about their experiences. If you follow the guidelines presented above you will be well on your way to building wealth and one day making work optional.